Shirts With Random Triangles: Les Miles Reportedly Makes Statement Implying Saturday Is His Last Game As LSU Head Coach. 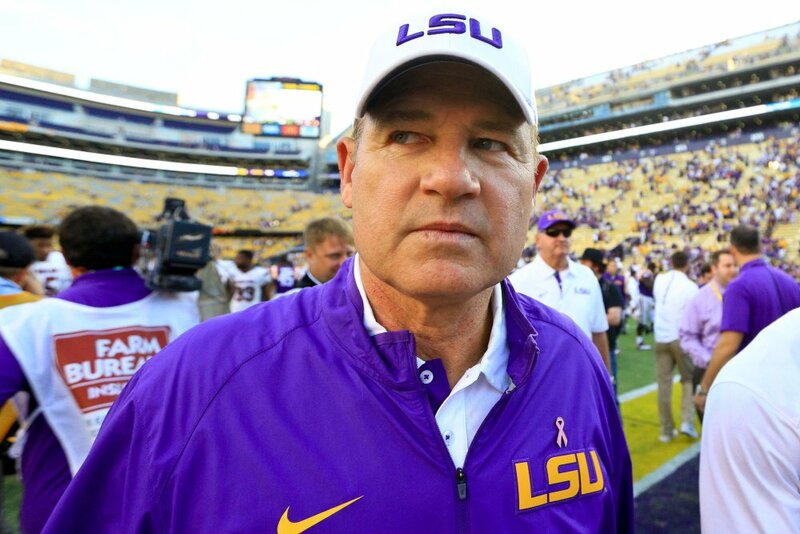 Les Miles Reportedly Makes Statement Implying Saturday Is His Last Game As LSU Head Coach. Les Miles. Image via USA Today. It looks as though the rumors of the end of the Les Miles era at LSU are true. Miles, while not saying Saturday's game against Texas A&M would be his last as head coach of the Tigers, made statements on Friday to the Tiger Gridiron Club that directly implied it as such. Jim Kleinpeter cited two unnamed Tiger Gridiron Club members who attended the meeting in his story for The New Orleans Times Picayune. According to one source Miles said that "We're a second family to him and he's going to miss us, he appreciates his real friends, and then he told us good bye,'"
The other source tells Kleinpeter that Miles said he "wouldn't be seeing them at the bowl game, he would "always be a Tiger" and "thanks for a great 11 years." Miles had been under pressure recently falling the collapse of the Tigers following the team's 30-16 loss to Alabama on Nov. 7, the first of three straight losses to conference opponents. Miles first season as head coach of LSU was in 2005. In his eleven seasons in Baton Rouge, Miles has had a record of 110-32, with a conference record of 60-27. He led the Tigers to three SEC West division titles, two SEC Conference championships, and the 2007 BCS title.